Gorgeous golden Tigers Eye Bracelets, made with strong stretchy elastic. 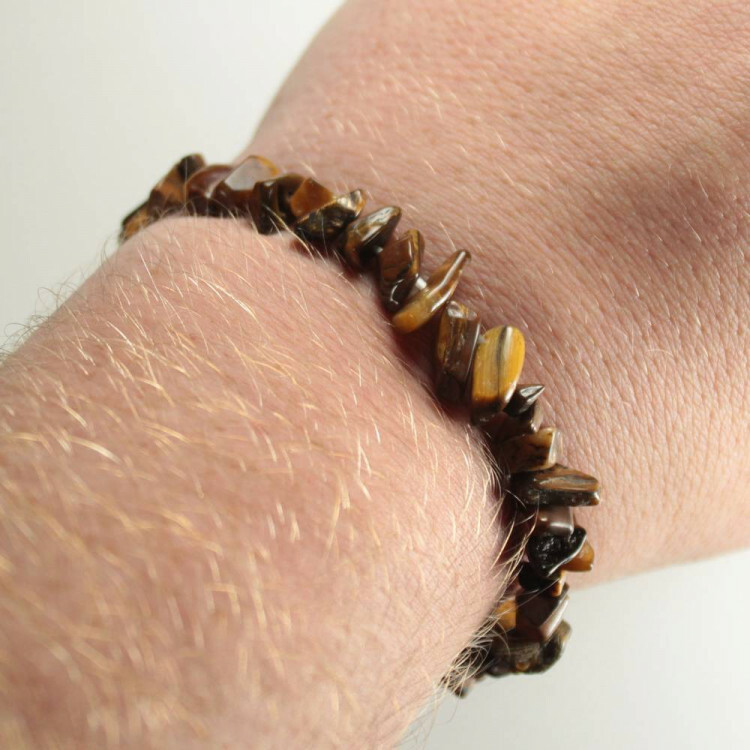 These are lovely Golden Tigers Eye Bracelets, made using a strong elastic. 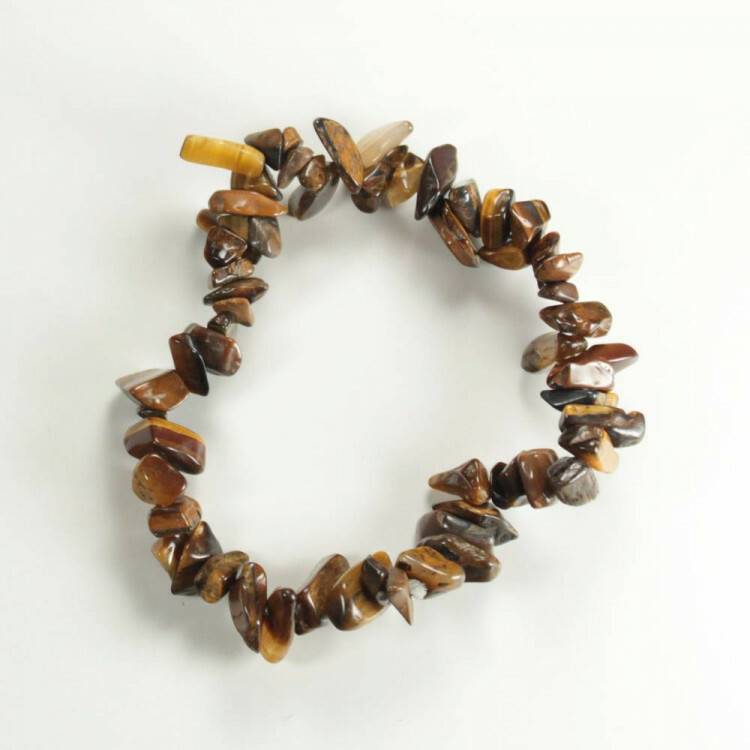 Beaded gemstone bracelets have always been quite a popular jewellery piece, and we have recently started carrying them. We are building stocks up slowly, starting with chip bracelets before moving on to round beaded and more unusual shapes. 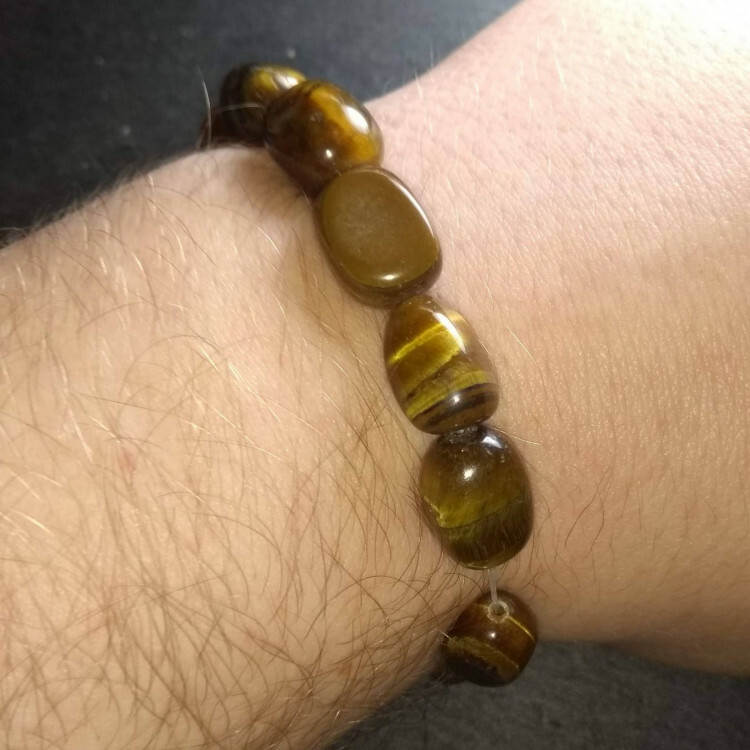 Suitable for most ages, they do shrink and stretch to fit wrists, but obviously, there are small pieces! We wouldn’t recommend them for very young children. 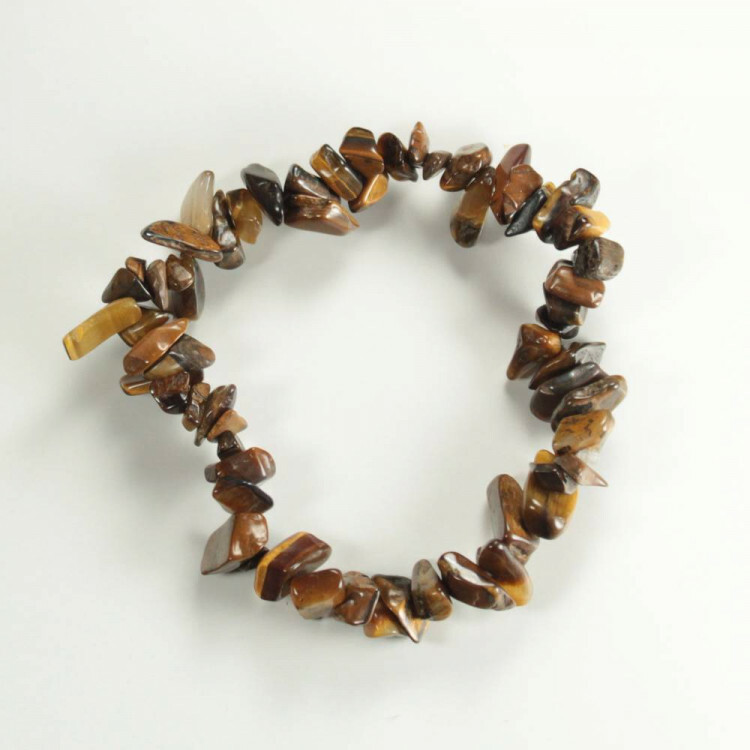 If you’re not a huge fan of this stone, we do sell a wide range of other gemstone Bracelets. For more information about this lovely chatoyant stone, and a full list of all of our related products, please see our main ‘Tigers Eye’ page.